A former police surgeon conducted "woefully or grossly" unacceptable medical examinations, an independent investigation found. Dr Reg Bunting, who died in 2013, was the chief medical officer at Avon and Somerset Police between 1990 and 1997. 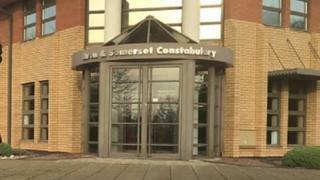 A probe was launched after a number of complaints by retired police officers. Deputy Chief Constable Gareth Morgan said had Dr Bunting been alive there was enough "evidence to interview him under caution as a criminal suspect". The matter was initially referred to the Independent Police Complaints Commission (IPCC), which recommended an investigation. The IPCC is carrying out its own inquiry into the claims. Concerns were raised in April 2015 about the way medical examinations between 1987 and 2004, were carried out. Avon and Somerset Police commissioned an independent investigation, carried out by recently retired Det Supt Tim Keelan, of Merseyside Police, and 835 people were interviewed, with 212 providing statements. A force spokesman said of 112 cases examined, 44 contained elements where the medical examination "fell below a common or acceptable standard for the time". He added a further 10 cases fell "woefully or grossly below common and acceptable standards of the time". Mr Morgan apologised "unreservedly" for those affected and said those who came forward with concerns "absolutely did the right thing". "Anyone requiring a police medical examination held on police premises by a police doctor should have had an expectation of being safe," he said. The report also identified concerns over examinations carried out by other physicians. Five doctors have been identified, one of whom has also since died. Avon and Somerset Police said none have been charged with any criminal offence but the force has notified the General Medical Council about the allegations against those concerned.